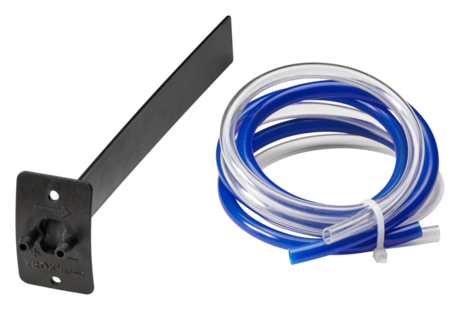 Monitoring system type FMS for the electronic, self-powered monitoring of volume flow rate or face velocity in fume cupboards, fume hoods and similar components. 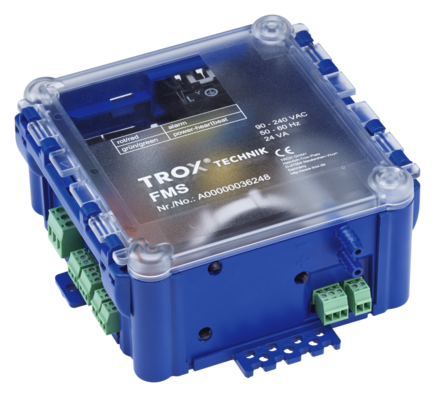 S: EM-LIGHT-F – The monitoring system allows for switching a light on/off using the control panel. This expansion module is a wired socket for the connection of lighting. 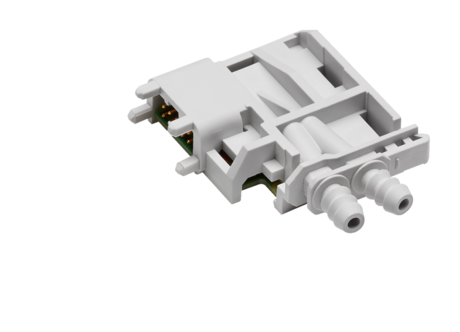 Maximum switch rating: 230 V AC 500 W.
G: EM-CPL – Mating connector for the EM-LIGHT module. If EM-LIGHT is installed, a mating connector can be supplied to allow for plugging in the lighting. 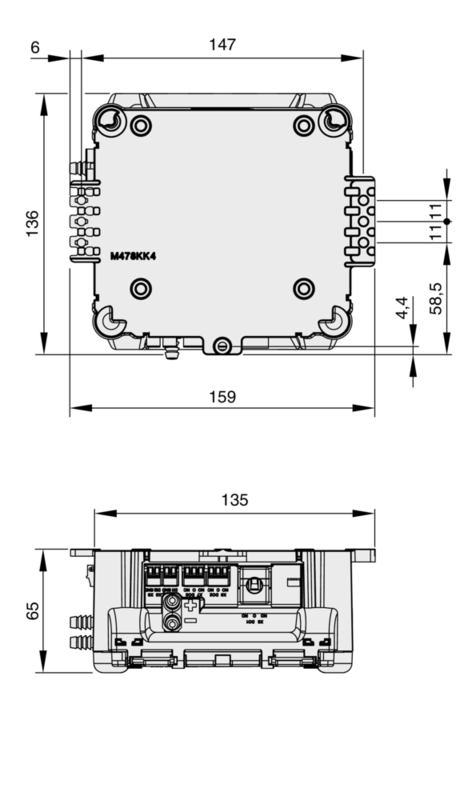 V: EM-VENT – Combined insulation piece and wire clamping bracket for digital output DO1, fan activation. The monitoring system can be used to activate or deactivate a fan. In case of 230 V AC power supply, this combined insulation piece and wire clamping bracket is provided. 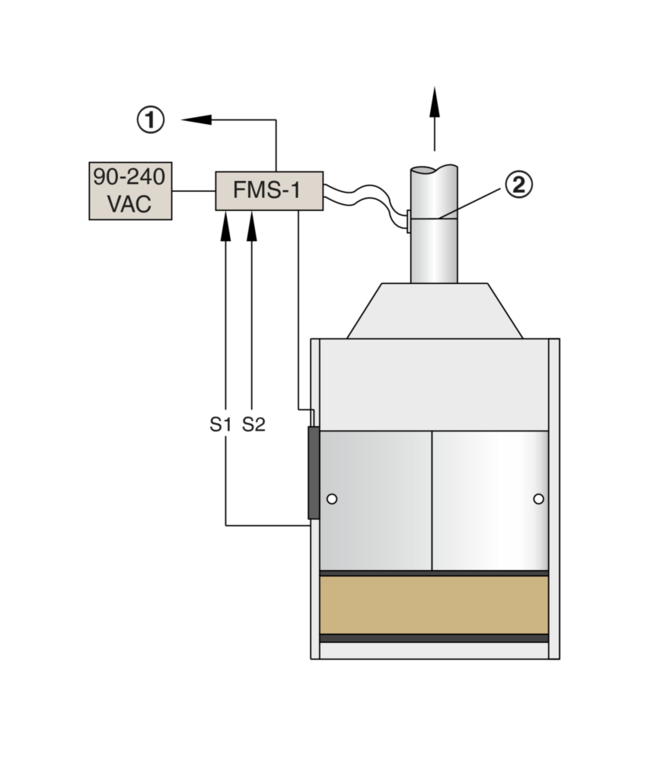 D: EM-DDT – Differential pressure transducer for monitoring a supportive flow. 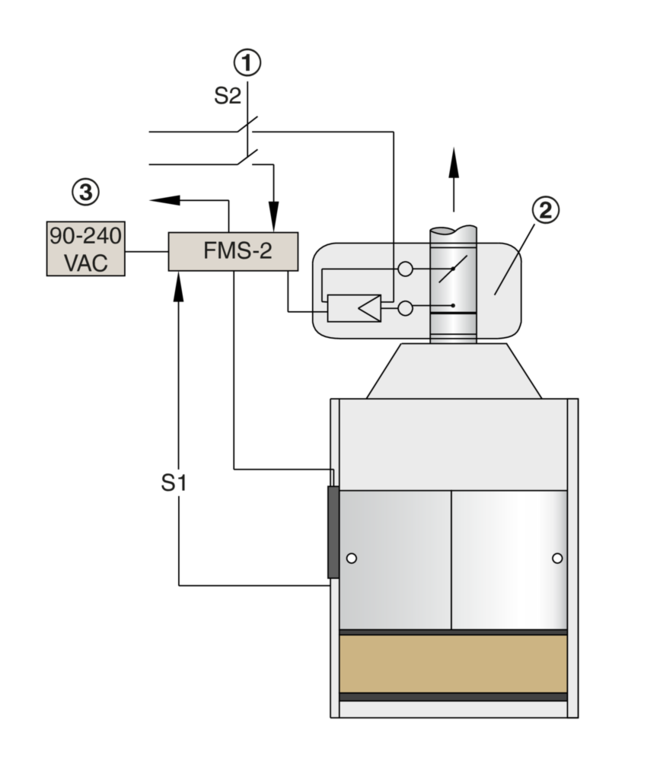 This expansion module may be used as an additional differential pressure transducer to monitor a supportive flow fan. 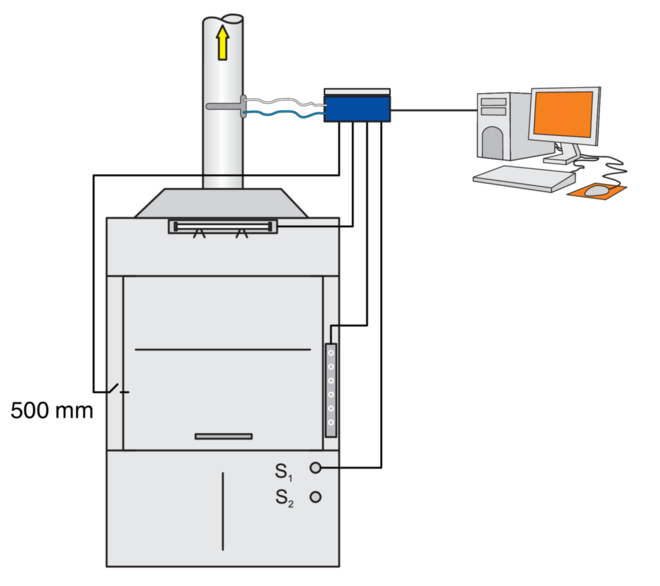 For fume cupboard monitoring, the electronic EASYLAB monitoring system FMS is typically installed on the roof or on the side of the fume cupboard. The supplied control panel is typically mounted on the fume cupboard side frame. Monitoring system for the connection of two external transducers using a 0 – 10 V DC signal for the measurement and monitoring of two differential pressure, volume flow rate or face velocity values. For details on the connecting cable core identification refer to the FMS installation and operating manual.